« COMPOST! What it is & How to use it. PEACE BUILDING THROUGH FOREST EXPEDITIONS. NECOFA in partnership with People in Peril Association (PIPA) and Slow Food Central Rift chapter, have undertaken a bold step towards promoting peaceful coexistence of food and trees communities living in Molo district and currently involved in a project; Decreasing the degradation of Mau Ecosystem,through active involvement of local communities targeting Koibatek forest, funded by Slovak Aid. By engaging communities from different tribes to participate in Koibatek forest expeditions, not only to appreciate and respect the benefits of a well conserved forest but to engage the communities in networking as one big community regardless of tribe, and putting their differences aside for the sake of peace and development. The expeditions are moments of learning from one another, as they describe indigenous trees in terms of their different languages, as they give the different uses of the diverse plants, and they realize how wonderful it is to spend time together learning and sharing which can only be achieved in a peaceful environment. The organizations hope to engage the different communities in expeditions to tap the opportunity to create more awareness on the importance of peaceful coexistence especially in this year of elections, so as to avoid going back to previous scenarios of violence, where many of these communities were adversely affected. 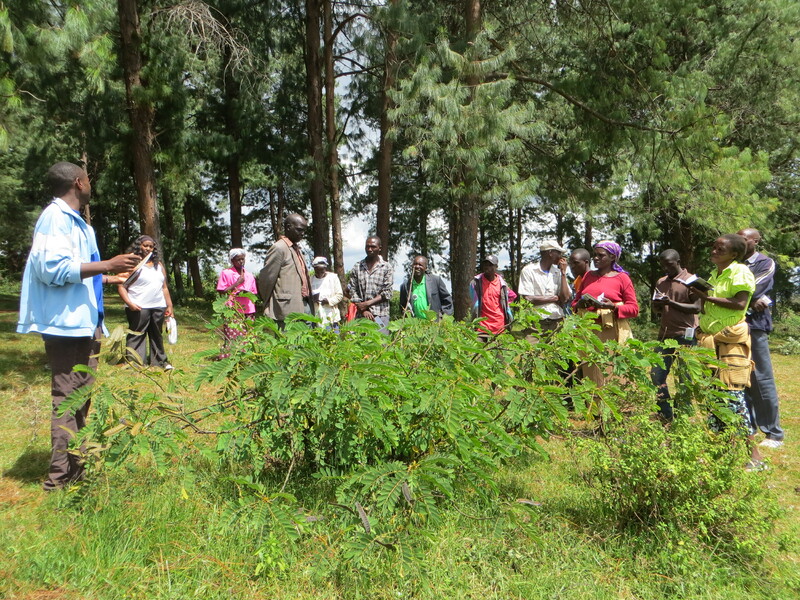 It is also an opportunity for communities to understand their role in participatory forest management.